In an effort to improve upon last year's misguided scheduling, we kicked off NXNE 2011 with beer: a tour of Steam Whistle Brewing, where we had our first meet-and-greet with fellow Radio 3 bloggers Thursday afternoon. What could go wrong? Three big events converging on Toronto-- NXNE, Illuminato and the Toronto Tattoo Convention (we just thought TO was really into ink) is what could go wrong, in the form of what one cab driver told us later was the worst traffic he'd ever seen. 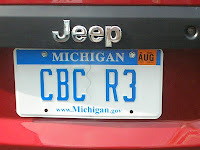 It put us in scramble mode for the rest of the afternoon, and all because of the R3 Mobile. Thanks to Matt Weed from Steam Whistle for the assist and making the tour happen. After Steam Whistle-- $10 gets you a great half hour tour, lots of free samples and a pilsner glass or bottle opener-- we hoofed it over to the XM Verge Skybar Lounge Rooftop Party. The lineup for this late addition to our carefully-crafted schedule (we were supposed to be at Trinity Bellwoods for their Live in Bellwood series) was too good to pass up: Hollerado, one of our top 10 for 2010 and our favorite NXNE performance last year, and Zeus, to make up for missing almost their entire set in Detroit. With a postcard view of Toronto Harbour as a backdrop, we heard a solid set of robust pop from Washington (Australian Megan Washington on keyboard and vox) and alt-rock/pop group Dinosaur Bones (Toronto), warming up for their date with the CBC Radio 3 Showcase on Saturday. In between we chatted with Glen Erickson from the Wheat Pool, who recently launched a music video company; Pete Nema of Sticky Magazine; and the two Michaels from Library Voices (on our schedule for the following evening at the Mod Club). After a few words with Carlin Nicholson from Zeus, we wish we could say we heard his voice on stage. Instead we heard the voice of reason: we had to go rescue the R3 Mobile from the Steam Whistle lot and pick up our passes if we wanted to hear any shows that night. It's a given at a music festival like NXNE that you miss as many great bands as you see; it wouldn't be the first time that weekend. We landed on free parking again near NXNE headquarters (the Hyatt Regency on King), when an attendant at a $12 lot let us skate on the promise we were just running in (who said Toronto doesn't have a heart?). We didn't even make it to the door before running into D-Sisive, Muneshine and Ghettosocks, presenters for the SOCAN panel on “Digital Beats & Tweets: How Technology is Changing the Face of Hip-Hop." We've vowed to schedule in some interactive sessions next year; even though we missed their panel, it was great to have another chance to tell D-Sisive and Muneshine how much we enjoyed their show at the Phog in April, and to meet Ghettosocks. We had hoped to catch Ruth Minnikin at the Dakota, but by the time we'd picked up our passes, crawled through traffic and checked in at the Grange Hotel, we were lucky to make the Luyas at the Horseshoe Tavern. We'd like to give a shout-out to the Grange; it's not the Hyatt, but in addition to being budget friendly ($95 a night for NXNE), it's clean, centrally located (north of Queen, west of Spadina) and the room has a stove, refrigerator, microwave and even dishes/cooking utensils. Next post: NXNE 2011 Day 1, part 2-- the Luyas, Allie Hughes, Les Jupes and another schedule fail. Waxing poetic: Hitting the road.